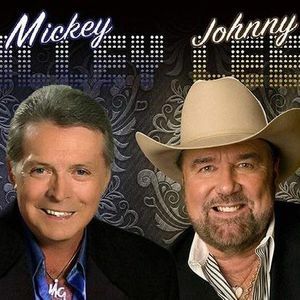 In their Urban Cowboy Show - Mickey Gilley & Johnny Lee together deliver a double Branson whammy of country and pop hits! Few artists can claim the world-wide fame of singer, Mickey Gilley; he's scored more than 15 chart toppers, including his sensational cover of the pop music standard, "Stand By Me," a song that made Gilley a favorite cross-over artist after it appeared on the soundtrack from the movie, Urban Cowboy. Although Mickey retired from his regular Branson theater schedule, he's still a favorite in this music city, with long-time and newfound fans alike delighted by his other #1 hits, including "Room Full of Roses," "That's All That Matters," and "Don't All the Girls Get Prettier at Closing Time." The industry loves him, too; he's been blessed with six Academy of Country Music awards, and he and his Urban Cowboy Band received a Grammy in 1980 for Best Country Instrumental Performance for "Orange Blossom Special/Hoedown."